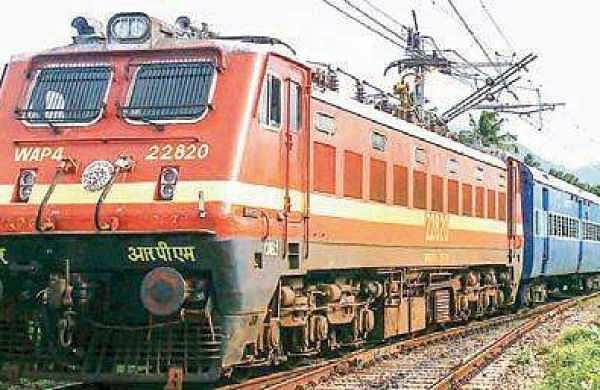 VIJAYAWADA: South Central Railway will run two summer special trains between Kakinada Town - Secunderabad to clear extra rush of passengers on April 14. These special trains have been given a halt at Rayanapadu and consist of AC II Tier, AC III Tier and Sleeper Class and General Second Class coaches. Train No. 07002 Kakinada Town - Secunderabad summer special train will depart Kakinada Town at 9:45 pm on April 14 and arrive at Secunderabad at 8:25 am the next day. En route, this special train will stop at Samalkot, Dwarapudi, Rajamahendravaram, Nidadavolu, Tadepalligudem, Eluru, Rayanapadu, Madhira, Khammam and Kazipet stations. Train No. 07004 Kakinada Town - Secunderabad Jansadharan summer special train will depart Kakinada Town at 9 pm on April 14 and arrive at Secunderabad at 7:20 am the next day. En route, this special train will stop at Samalkot, Dwarapudi, Rajamahendravaram, Nidadavolu, Tadepalligudem, Eluru and Rayanapadu in Andhra Pradesh and Madhira, Khammam and Kazipet stations in Telangana State. Due to traffic block between Nadikudi Junction - Pondugula stations, the following trains are regulated as detailed. Train No. 57652 Repalle - Secunderabad passenger scheduled to depart Repalle on April 15, 16, 20 and 21, will be regulated for two hours en route. Train No. 77674 Kacheguda - Nadikudi DEMU passenger scheduled to depart Kacheguda on April 15, 16 and 20, will be regulated for two hours.